"It is a long wandering. A relay run ideally suited for teams of 12 runners on a 178 mile course. Starting in Downtown Reno along the Truckee River. Traveling through the Sierra Nevada mountains and along the shores of Lake Tahoe. Circling back through the Northern Nevada high desert to where you began in Reno. The race begins Friday. It is a staggered start, with waves of teams starting every 15 to 30 minutes. The slower seeded teams will begin around 9 a.m. and the faster seeded teams will begin in the afternoon. Exact start times will be announced in the month before the event. Plan to get to Reno by Thursday night. The only changes of fortune you will experience will be for the better. You will have a great time. And when you finish, you will enjoy an overwhelming feeling of accomplishment and teamwork. And be the special guests at a party to celebrate your achievement." 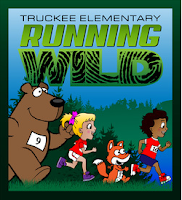 "Come one, come all and join us for a morning of trail running and fun at Riverview Park in Truckee, CA. The 5K is a fund raiser for the Girls on the Run Sierras. Try a 5K or 10K along the Legacy Trail or a half marathon featuring beautiful and scenic trails of Waddle Ranch. Bring the kids as we have short race/runs for them as well." "Walk, Jog, or Run with friends, strollers,and pets! 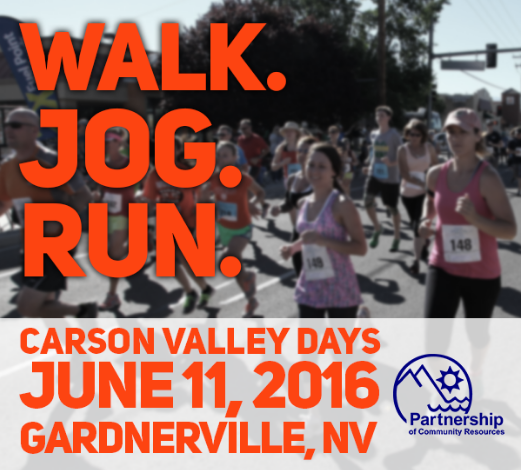 The route takes you to a tour of downtown Gardnerville and downtown Minden as residents cheer you on the sidewalks. A cool morning and a beautiful mountain range in the backdrop tops the race." "All proceeds from 2016’s Walk Jog Run will go towards forming teen summer workshops. Why are we doing this? Studies have shown that teen drug use rises in June-July summer months. So come on out and support our run!" "The Lake Tahoe Relay teams consist of 7 people, each running approximately 8 to 12 miles. All runners will have the same team number pinned on the front of their shirt. Course closes at 8:00 p.m. Runners will be asked to be leave the course after 8:00 p.m. for their own safety." "At the Arch Rivals Run you can live out your dreams over the course of five kilometers. Be Superman or Lex Luthor. Be Spiderman. Be Wonder Woman. Be anybody who might get us in trouble for mentioning trademarked names- it’s up to you! You get to run (or walk) as whoever you have always dreamed of being- and if that doesn’t jazz you up you should check out our photos, because the people who have raced before you had the happiest time of their lives." "The Squaw Valley Half Marathon starts and finishes at the iconic Village At Squaw Valley, site of the historic 1960 Winter Olympics. The course is fast and flat, a scenic out and back featuring mainly paved trail through the valley and along the Truckee River. During the route keep an eye out for bald eagles, mule deer and trout leaping out of the river all while enjoying the cool, refreshing sierra air. You will be supported by five aid stations along the course which will have water, electrolyte beverage and a variety of fruit and snacks. At the finish we will have the music pumping, a selection of recovery foods and some ice cold Lagunitas beer and soda to celebrate your accomplishment. Stick around to cheer on the other runners and relax in the Village while enjoying a perfect Squaw Sunday afternoon. This one you will not want to miss!" "Running wild is a fundraiser for Truckee elementary school. This event will be filled with fun for the whole family. Come out and support Truckee's Kids!!" "The Burton Creek Trail Run takes place on a beautiful, fun and challenging trail system within Burton Creek State Park near Tahoe City, CA. The course features miles of single track through pine forests and high sierra meadows. Burton Creek drains the runoff from Mt. Watson into Lake Tahoe. You’ll see and hear the creek often and June is a great wildflower time of year as well. Choose between from the 6K, 12K, or Half Marathon. The Burton Creek Half Marathon is one of the best Lake Tahoe Half Marathons. Also bring the kids as we offer age appropriate distance kids races for those 4 and older." "The 13.1 mile course will take you from Spooner Summit (Hwy 28 & Hwy 50) south along the beautiful east shoreline of Lake Tahoe. There is no shortage of amazing scenery as you pass Logan Shoals, run through Cave Rock and weave along the bike path through historic Round Hill Pines, Nevada Beach and Rabe Meadow. To cap off the awesomeness of the course, we will be throwing a finish line party like no other!" "These 5 kilometer and 10 kilometer runs in beautiful South Lake Tahoe wind through rolling hills, forests and meadows on single track and a bike path. Competitors start at the Lake Tahoe Community College parking lot and finish on the South Tahoe Community Sports Complex, former home of the 1968 Olympic Trials track. All proceeds from this run support the maintenance of the track and field on this site." 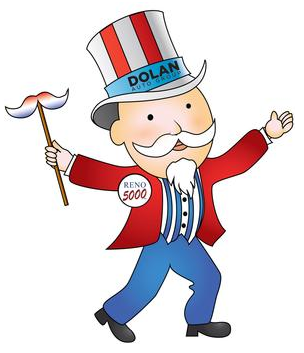 Reno 5000 Race #2 - 4th of July themed "Mustache Run"
"Enjoy one of Reno's best hidden parks during the 6th annual running series at Washoe County Hidden Valley Regional Park. Vast mountain and city views from the park give you a breath-taking running experience." 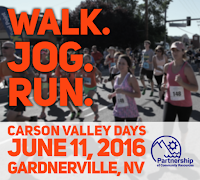 "This 7.9 mile course travels alongside the Truckee River. Enjoy spectacular views along this stunning scenic corridor. This run is perfect for all abilities. The route is fast with little elevation gain. Event check-in and parking is located at Squaw Valley. A shuttle takes you to the start at Commons Beach in Tahoe City. You then run back to Squaw Valley."